Feung Nakorn Balcony is divided into 2 sections. The front section is a five story building that boasts a mix of Thai and western designs. Here youll find 3 gorgeous suites named after famous gem stones and our cozy New Road Caf, all of which offers stunning views of the famous Rajchabophit Temple across the road. And from the rooftop, you can even view the magnificence of the famous Grand Palace and Wat Arun (Temple of Dawn),two of Bangkoks most famous temples. The second section is located a few more steps in from the road and hosts a much larger 4 story building, which has been converted from a local elementary school but retains many of its classic structure and design. 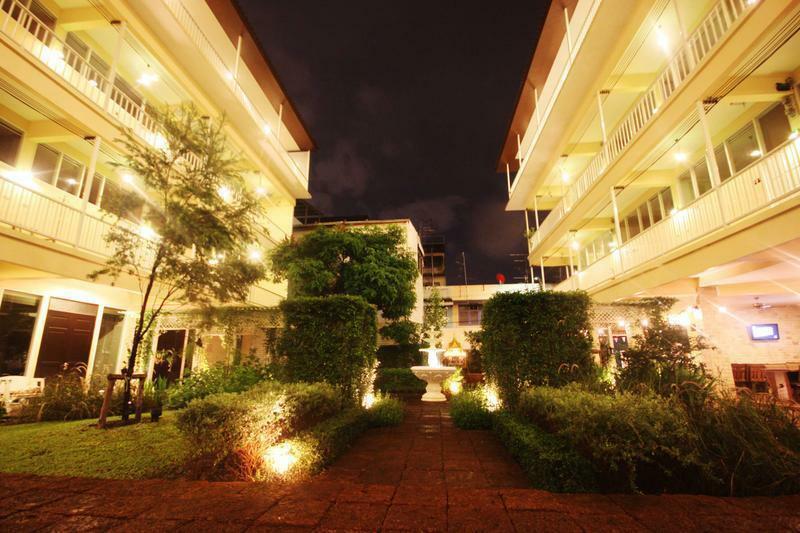 Here youll find the main reception area, a cozy open-air restaurant, and a peaceful landscaped outdoor garden. There are 4 suites, 30 standard rooms and even 4 shared dorm rooms to accommodate backpackers. The rooms are decorated with an eclectic mix of Thai styles for a different experience. 1. By FNB airport transfer:FNB's transfer service (THB 1,200 per trip) please inform us ahead of time your flight no, arrival or departure time. 2. By public taxi : Taxis are available at Taxi stand on the second floor. The cost is a 50 baht airport surcharge on the meter + meter charge + 45 bath highway tolls. The trip to FNB total will cost approximately 350 - 450 baht (include highway tolls) and take 50 - 80 min. depending on traffic. Tipping involves rounding up to the next 10 Baht.